Should be getting my Sayaka and Kyoko next week. Got the invoice from amiami so now the wait begins. And I'm set until Homuhomu school ver ships. 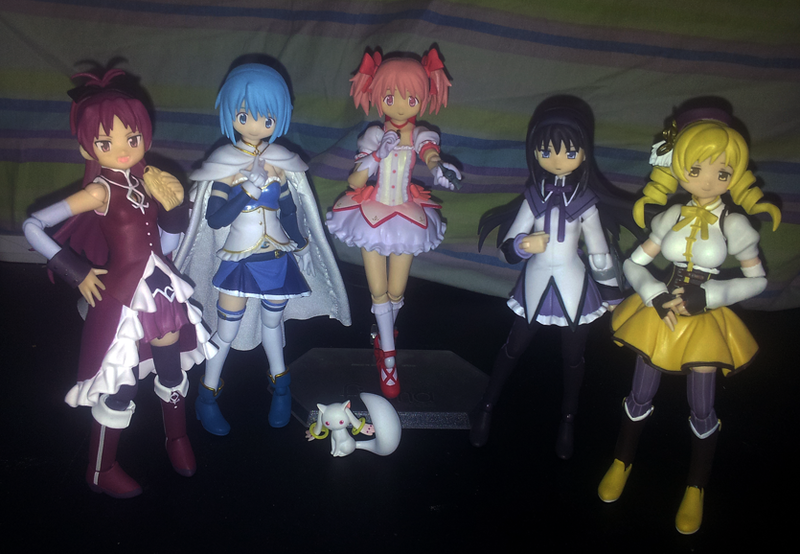 :3 not pictured here is my regular madoka. I believe that this is a Crowning Moment of Awesome Grats! And a story of magical girls comes to an end. Until they release more, anyway. Last edited by Sonja on Tue Jul 10, 2012 10:47 pm, edited 1 time in total. Sonja wrote: Poo. Fixed it.